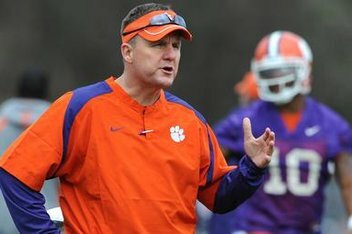 Clemson offensive coordinator Chad Morris says he's not talking with South Florida. BC coach Steve Addazio says he's in it for the long haul. The ACC's presidents say the same. Do you believe them? Nor does Big Ten blogger Adam Rittenberg. Charlotte will be the perfect spot for Duke. Is Virginia coach Mike London following the same path as Al Groh? FSU fans better start showing Jimbo Fisher some love. Jonathan Cooper missed out on the Outland Trophy, but is still earning accolades.